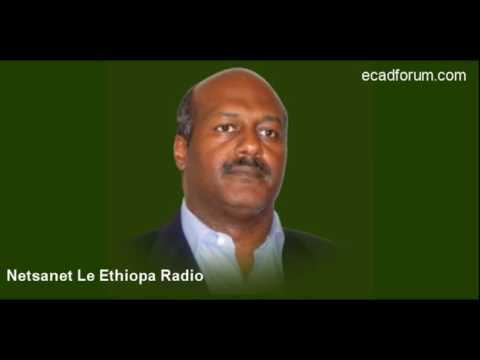 (Ginbot 7 Editorial) — The World Bank, the IMF and the Ethiopian regime annual development reports have highlighted on Ethiopia’s higher GDP growth rate over the past 10 years, yet the UN development index and other indices [Misery Index] that measure the well-being of people have declined both absolutely and relative to many other African countries. The paradox of acute poverty and declining well-being of Ethiopians is found in various parts of the country and is pervasive across demographic groups. Today, to millions of Ethiopians, the heralded GDP growth and the empty promise of joining middle income nations has turned sour as a growing famine once again is engulfing Ethiopia. In the last 18 years, bilateral and unilateral aid sources have written off about half of Ethiopia’s foreign debt and have pumped more than 30 billion dollars to induce economic development in Ethiopia. In its effort to appease donor nations and keep the flow of foreign aid, the deceitful regime in Addis Ababa has displayed its aspiration to agricultural modernization that focuses on food security and rural development. In spite of the multi billion dollar aid packages and development rhetoric from Ethiopia’s ruling minority regime, rural life in Ethiopia hasn’t changed from what it was at the turn of the last century [˜ 85% of Ethiopians live in rural areas]. 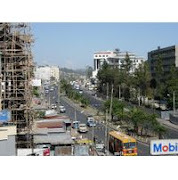 Since 1991, the World Bank and the International Monetary Fund (IMF) have constantly urged the TPLF regime to liberalize the financial sector and change the country’s land tenure policy. In fact, most of the aid packages from these two international organizations were ear-marked towards the goal of economic liberalization and establishment of a free market economy. However, after 18 years of love affairs between the IMF and Zenawi’s regime, Ethiopia is one of the few countries in Africa that has not made progressive changes in its basic land policy while enjoying multi billion dollar aid packages in the name of liberalization. The TPLF land policy has discouraged farmers from making long term investment on the land that they don’t own, and the resultant problems generated from the regime’s land policy have made it impossible for Ethiopian farmers to make use of productive agricultural technologies. Moreover, policies of ethnic federalism have limited the ability of farmers to access land in other regions. Many research and scholarly studies show that land insecurity reduces the incentive to invest on land and limits the ability to transfer land. Moreover, empirical studies have also indicated that Ethiopia’s land policy is the single most important constraint to the nation’s agricultural development. Over the last 18 years, many national and international organizations including Economic Commission for Africa's (ECA) have repeatedly warned the ruling regime in Ethiopia, that land tenure along with the issue of governance were the most urgent areas requiring institutional transformation in Ethiopia. However, Zenawi and his ruling party have ignored advices, recommendations and warnings and made Ethiopia a nation of poverty in the middle of plenty. The TPLF regime, the very regime that boasts to have dismantled communism in Ethiopia, has deliberately kept the communist land policy of its predecessor. To make things worse, the regime has eliminated the possibility of flexible application of policy by enshrining land policy in the constitution. Today, to cover up its failed economic polices, Zenawi’s regime has adopted yet another perilous land policy that may have far reaching adverse consequences in the future food security of Ethiopia. A regime that has been parsimonious over the years to its own citizens has recently set aside over three million hectare of fertile land for foreign investors and governments that outsource farming to Ethiopia. Ginbot 7 is extremely troubled by the scale and pace of the land grab in Ethiopia and has expressed its discontent to Ethiopians and to the international community. Ginbot 7 strongly opposes these secretive land deals that are being struck without the input of the Ethiopian people by an illegitimate regime. We believe that, instead of selling the nation’s fertile land and begging for food aid, the TPLF regime has to change its communist land policy and empower local farmers who have the potential to produce marketable surplus. Ginbot 7 wants to send an unequivocal message to the land grabbers that any land deal that has not been agreed to by the Ethiopian people will not be honored by future elected governments. Solutions to peace in the Horn! If you want to know the real story; take your time and get it from the source not from the opinion makers AKA news media.